Mommy Maestra: What is Mis Cositas? Occasionally, I stumble upon a wonderful site that is full, full, full of information and activities that I can use to supplement my curriculum or to create independent weekend/summer projects. If you have not already discovered Mis Cositas, you will be excited with this post. This site was originally created by a teacher for other teachers to use in a classroom or computer lab. However, people from all over the world have written in about how they use the site in a variety of settings. 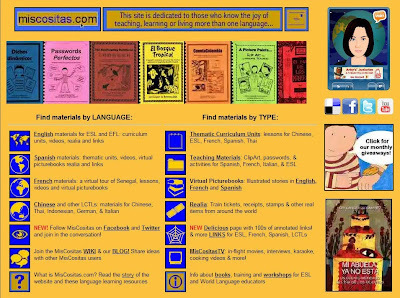 Parents have used MisCositas.com for homeschooling and for enrichment. Administrators have used the site in after-school clubs and staff development sessions. And anyone interested in learning a language can use the site to enhance their studies. Who created MisCositas.com... and why? MisCositas.com is really a labor of love for me. I created MisCositas.com first as part of my doctoral dissertation work in 1996. The first incarnation of the site contained three stories with a few illustrations. 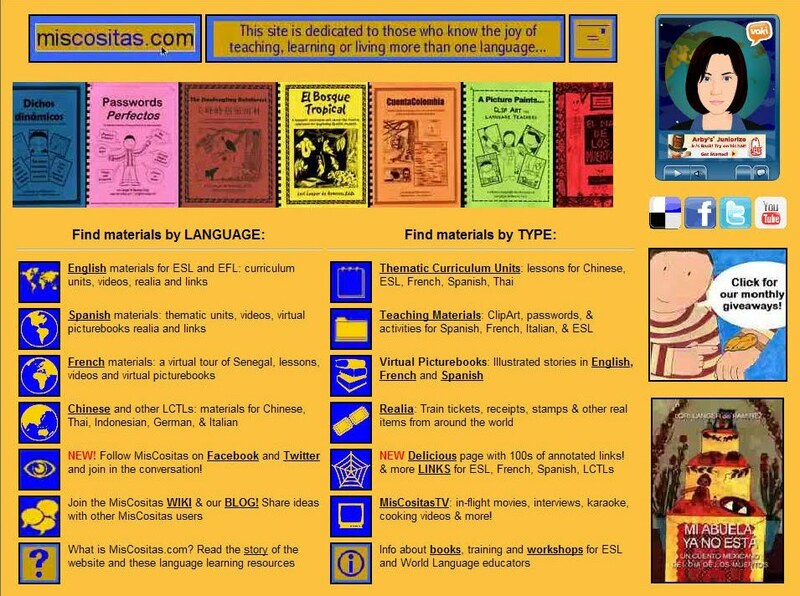 Since then, the site has grown to house folktales, original stories, curriculum units, lesson plan ideas, and other materials that I created for use in my own teaching. Now – almost 15 years later – MisCositas.com has grown leaps and bounds! I enjoy hearing from teachers, parents, students, and fellow language learners from around the world – especially when I receive emails with suggestions, ideas for new materials, and just comments about how the site is being used in a variety of settings: homes, schools, libraries, etc. Feel free to contact me with your comments: lori@miscositas.com. I look forward to hearing from you!